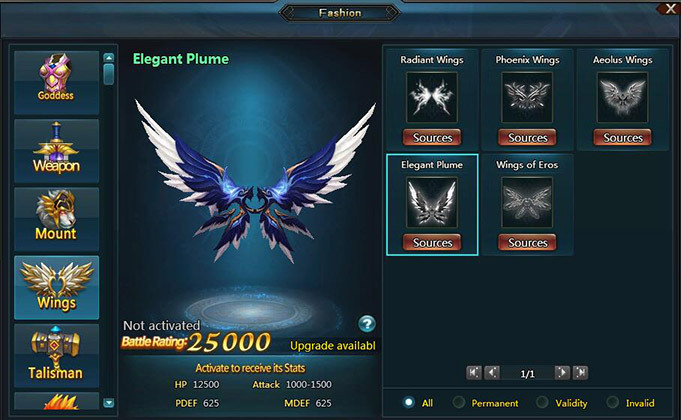 To express our gratitude to the players who have offered great support to Omega Zodiac, the Omega Zodiac Operations Team will start a Omega Zodiac elite player club to provide members with quality services that they have never enjoyed before. anything they want to with customer service representatives. The representatives will try their best to help. which will go direct to officers and the development department. to elite club members on holidays. How does establishing elite player club work? We will evaluate all players and decide which are the best qualified players. Those selected will receive an invitation through in-game mail. (Remember to check your email on a regular basis.) Then they will need to follow the instructions in the mail, and befriend the assigned customer service representative on Skype. After we finish some routine work (like asking for character name and so on), they will get a gift pack. 2.The elite club members will communicate with Omega Zodiac representatives through skype. 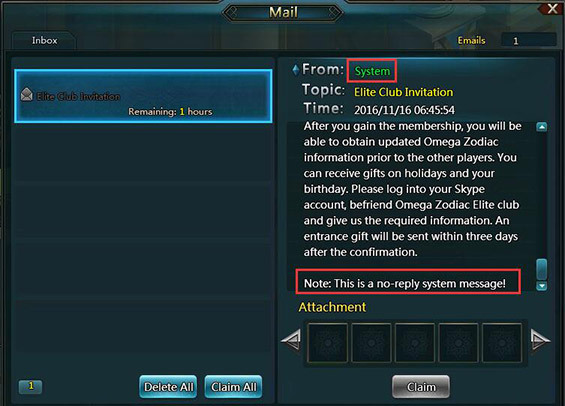 How：Pass the Skype validation for your Omega Zodiac player identity and you shall have the gift within 3 workdays.